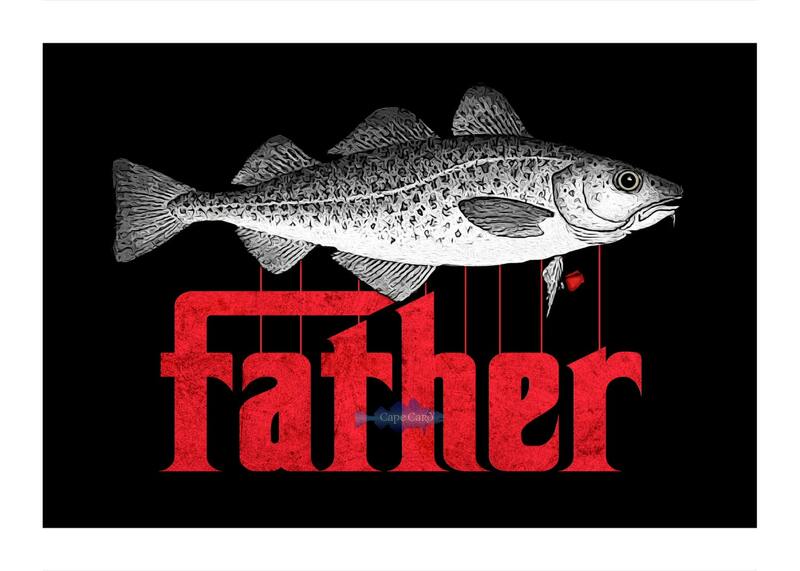 The image says it all, but this quote from THE GODFATHER amplifies it a bit: "Luca Brasi sleeps with the fishes." This "cod" is printed on heavy uncoated stock with pigment inks. The inside is blank. The card is packaged with an envelope in a clear cello sleeve. The card measures 7 x 5 inches folded. This image is also available as a print. Codfather design and illustration copyright © 2013 by Andrew Newman. All rights reserved. The Cape Card watermark will not appear on actual prints. Shipped promptly, great correspondence. It was a gift and well liked. Another dynamite item from Andrew! Love it. This "cod" was perfect. Shipped very quickly and even better than pictured. Great transaction and will use this seller again. Paypal or credit card via Paypal. One does not have to have a paypal account to pay with a credit card using Paypal. We will exchange items that are damaged on receipt of damaged goods. If item is not delivered within 2 weeks in US, we will resend. Shipping is by USPS. If faster shipping is required the buyer will need to notify us prior to ordering. All images registered with the US Library of Congress. Images copyright © by Andrew Newman. All rights reserved. Images shown on Etsy are digitally watermarked by Digimarc. The actual cards and prints do not have the watermark.